Fascia is a term which generally describes the surface which caps the end of rafters outside a building, which can be used to hold the rainwater gutter. The finished surface below the fascia and rafters is called the soffit. Soffit is the overhang area from the wall to the bottom edge of the fascia. It can be non-ventilated or ventilated. 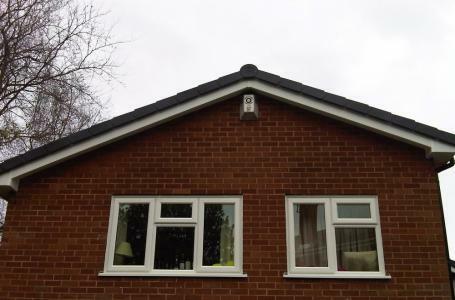 Our fascia and soffit boards are manufactured to the highest quality and standards by Deeplas and are available in a number of colours of which we can both supply only or if we supply and fit to your property we will provide a 10 year guarantee – no more awkward painting and decorating.